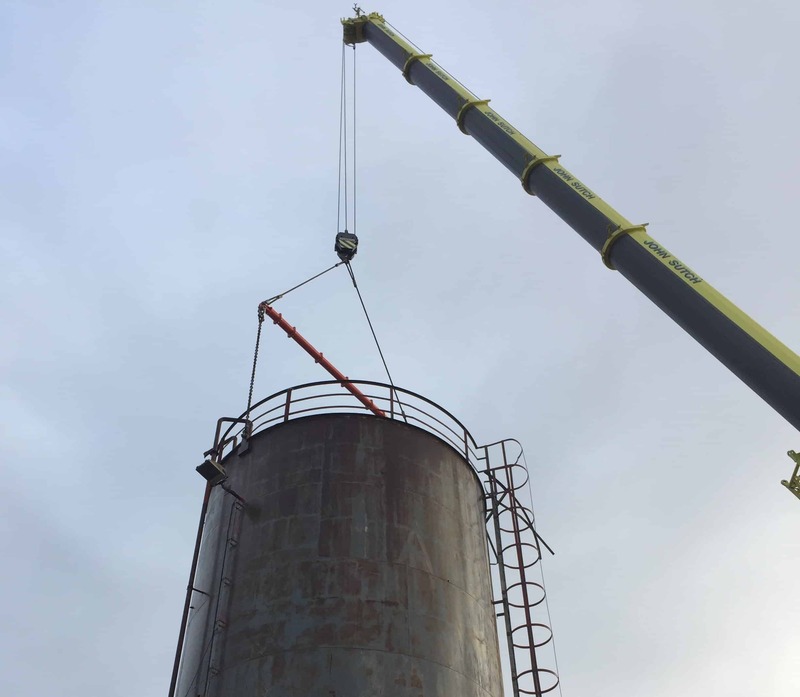 Britlift who are designers and manufacturers of lifting equipment (lifting beams, frames and spreader beams) were recently approached by their client Edwards Lifting Services to supply a 50 tonne 6m modular spreader beam for a storage tank removal project. The project required the removal of a storage tank following a recent fire which resulted in a number of other storage tanks being damaged. The remaining undamaged tanks were required to be moved in order to begin re-building work of the fire damaged area. 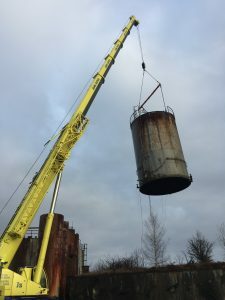 Once the re-building works have been completed Edwards Lifting Services and their Britlift T50 6m modular spreader beam will again be required to lift the undamaged tank back into place. 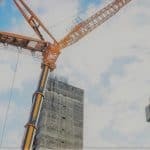 The project required the use of Edwards Lifting Services own 35 tonne crane, to assist using a man basket, alongside a 300 tonne crane from John Sutch Cranes. 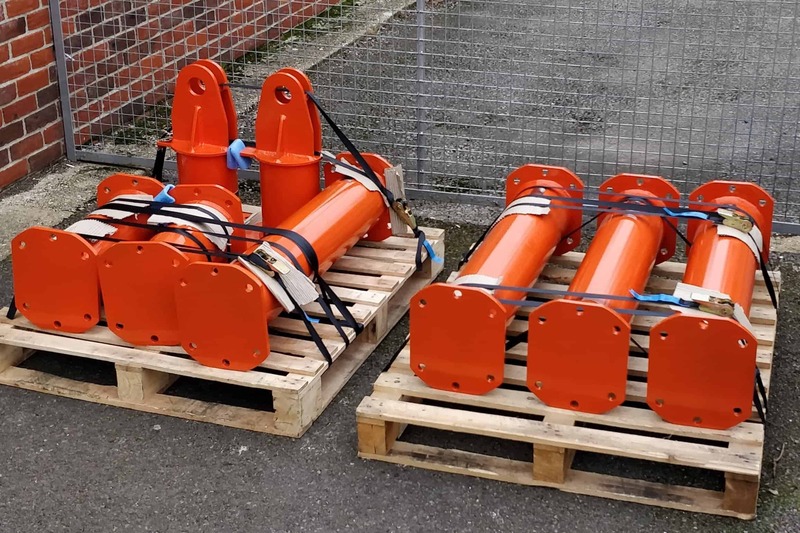 Britlift is a designer and manufacturer of below the hook lifting equipment such as spreader beams, spreader frames, lifting beams and lifting frames as well as suppliers of Load Cells/Pins, Slings and Shackles. 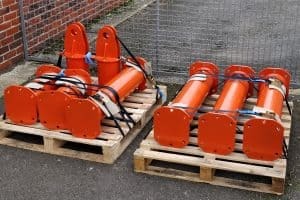 As specialist manufacturers Britlift offer modular spreader beams off-the-shelf in capacities of 8 tonne, 13 tonne, 24 tonne, 34 tonne, 50 tonne and 70 tonnes for both purchase or hire. 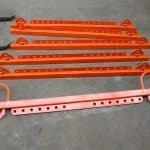 Britlift are also able to offer up to 600 tonne capacity modular spreader beams and lengths of up to 25m, as standard. Britlift also offer custom lifting equipment design and manufacture consultancy services and are able to advise and guide on the best and most effective way to carry out a safe and efficient lift. Contact 01305 236123 or email sales@britlift.com for details and pricing.